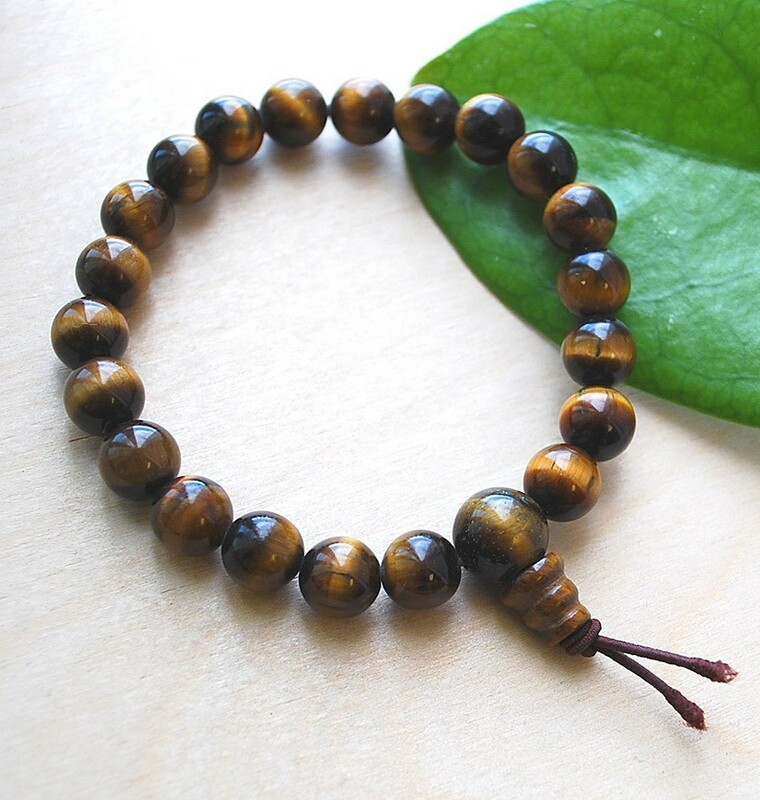 Wrist Mala Tiger’s Eye with approximately 21 8-9mm Tiger’s Eye beads, finished with a three-holed guru bead on stretchy cord. Imported. The gemstone known as Tiger’s Eye is a form of chalcedony Quartz, but it didn’t start out as Quartz. It began as the fibrous blue mineral called crocidolite and was gradually transformed into Quartz while maintaining its fibrous formations. 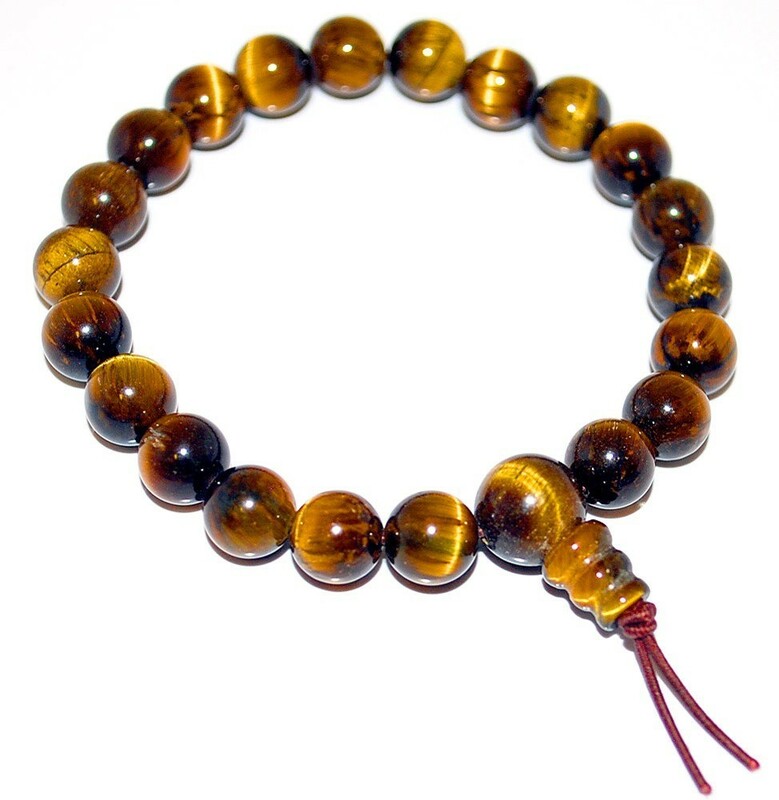 Tiger’s Eye is called just that to resemble a cat’s eye with its brown base and its golden yellow, light-catching shimmer. 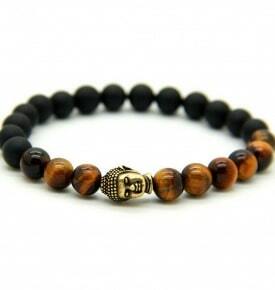 Tiger’s Eye comes primarily from South Africa and east Asia. I love this piece. It is beautiful and I can do short chants(with count) using this bracelet at work with no interuption to workflow. The energy is amazing as well. Have bought several of these in the past but the elastic bands do not last long. Latest one the band seems even flimsier and is not brown to match the tiger’s eyes on the mala, red for some reason. That’s right,imported Chinese bracelets for $10- $15 are strung on elastic and elastic breaks, we would never use that in a US made item. 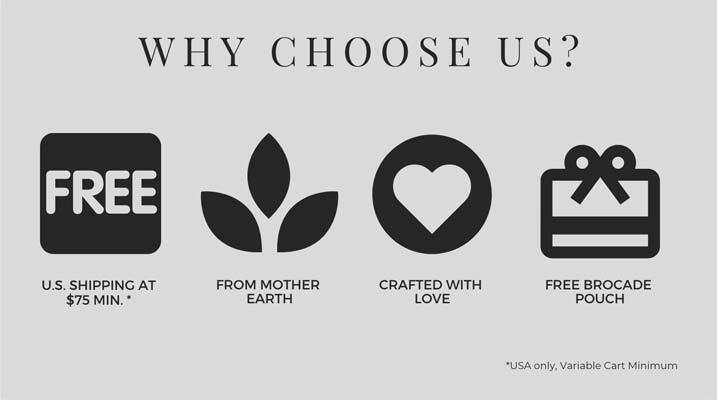 We make custom bracelet designs with adjustable knots for $35. Imported malas strung on elastic, (stretch malas) can break after a very short time, so we recommend that you purchase a small spool of “Stretch Magic” from your local Michael’s Crafts to keep on-hand. 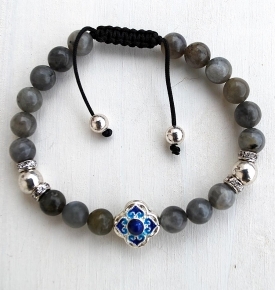 Imported Bracelet Malas made with an adjustable slipknot can unravel easily, if that happens, you can take the frayed end and melt it with a lighter to prevent from further unraveling. Love it! 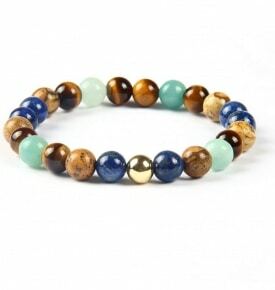 Perfect fit and exceptional quality beads. 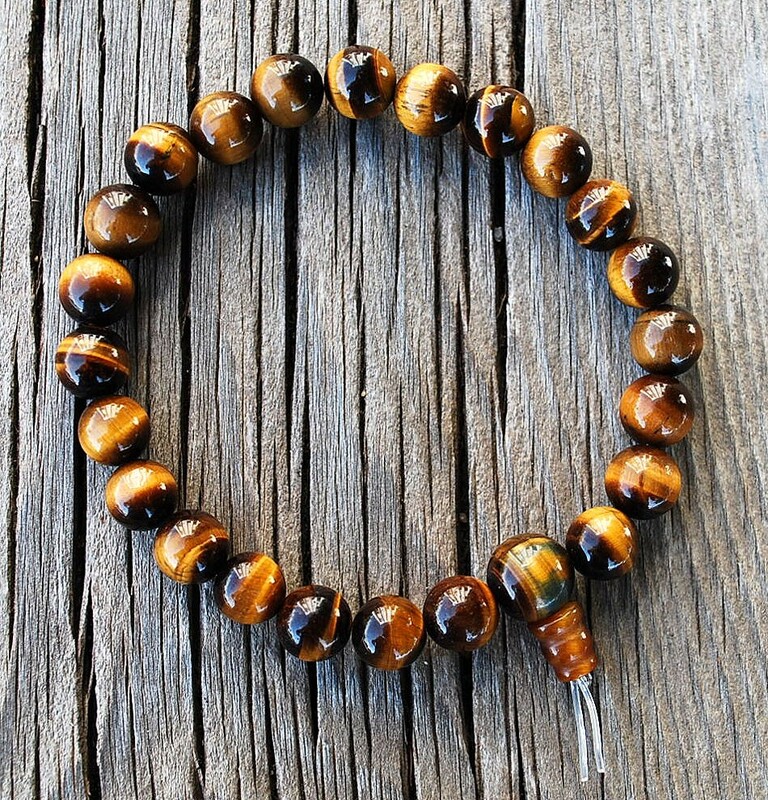 the tigers eye beads are stunning to look at especially in the sunlight. 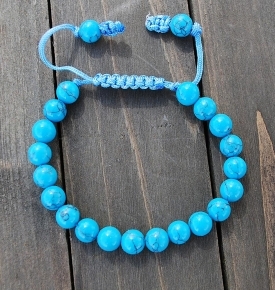 I have had many compliments on the mala.